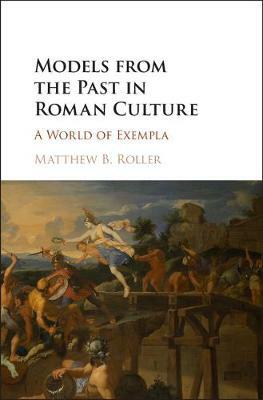 Historical examples played a key role in ancient Roman culture, and Matthew Roller's book presents a coherent model for understanding the rhetorical, moral, and historiographical operations of Roman exemplarity. It examines the process of observing, evaluating, and commemorating noteworthy actors, or deeds, and then holding those performances up as norms by which to judge subsequent actors or as patterns for them to imitate. The model is fleshed out via detailed case studies of individual exemplary performers, the monuments that commemorate them, and the later contexts - the political arguments and social debates - in which these figures are invoked to support particular positions or agendas. Roller also considers the boundaries of, and ancient alternatives to, exemplary modes of argumentation, morality, and historical thinking. The book will engage anyone interested in how societies, from ancient Rome to today, invoke past performers and their deeds to address contemporary concerns and interests.